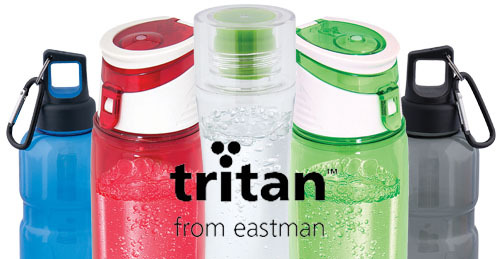 Eastman-Tritan™ delivers a revolutionary drinkware solution that has come to redefine durability and sustainability. Refresh your market position with its game-changing features. Renowned for its strength and glass-like clarity, Eastman-Tritan™ copolyester is a lightweight and shatterproof alternative to glass. It’s also lighter and requires less protective packaging, which can reduce shipping costs. Good-bye, metallic after-taste. Hello, purity! Chemical-resistance and heat-resistance combine for unmatched dishwasher durability! Sanitize your water bottles without the worry of melting, shattering, or leaching chemicals. Bisphenol-A (BPA) is a chemical building block that is used to make a number of plastic products including polycarbonate (PC) plastic. 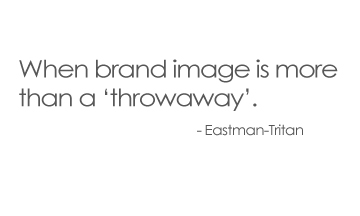 Eastman-Tritan™ copolyester is produced without BPA. It’s also free of halogens, sulfur, nitrogen, lead, mercury, cadmium, and hexavalent chromium; thus keeping more of these chemicals out of the waste stream. Designed to maximize durability and functionality, Eastman-Tritan™ drinkware withstands the abuse of an active lifestyle while maintaining its aesthetic appeal for years to come. Click here to view our full line of Eastman-Tritan™ drinkware solutions or contact your Account Manager/Sales Representative for more information. Visit the Eastman-Tritan website here. This entry was posted in Drinkware and tagged Advertising Specialty, Copolyester, Drinkware, Eastman-Tritan, Marketing, product solutions, Promotional Products, Reusable Water Bottle, Swag by Debco. Bookmark the permalink.